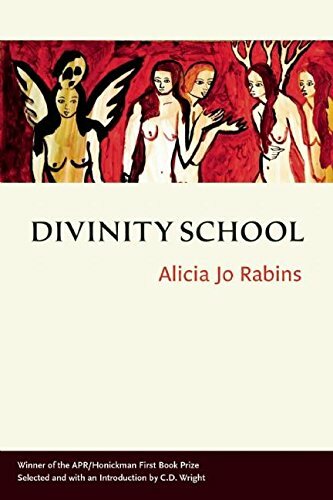 People have been writing me recently asking about using my poetry book, Divinity School, as a teaching tool in spiritual study, teaching or prayer settings. 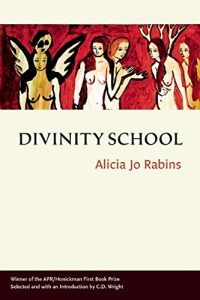 I’m a huge believer in integrated arts education as well as arts-integrated spirituality (which is why I created a curriculum about women in Torah through the arts!) so needless to say, my answer is, GO FOR IT! To help out, I thought I’d create a guide to Jewish texts and themes in Divinity School. Here it is; enjoy! Just be warned that the book does contain adult language and themes so make sure the setting is somewhere people will be cool with that. I have not yet gone through and listed actual chapter, verse, or Talmud tractate and pages – so please feel free to do that in comments, you scholars of Torah! Some are more clear/obvious than others. It is poetry, after all. For those of you teaching in Jewish settings, I’ve listed the weekly Torah portion when appropriate (parasha). Page 6…THE DEFINITIONS – This poem contains a somewhat veiled allusion to the ritual of the Sotah (woman accused of adultery with no witnesses, from parashat Naso). Essentially, in this poem I imagine the Sotah as an older woman, teaching girls about her story and what she’s learned about being a woman in a patriarchal world. This poem originally was part of a series with the poems on p. 12 and 43, so you may want to consider them all together in light of Sotah. 7…MALKHUT – draws on kabbalistic themes.